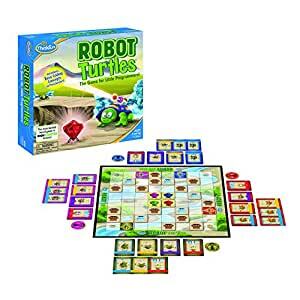 Amazon's Choice for "robot turtles board game"
Ships from and sold by Rarewaves-US. 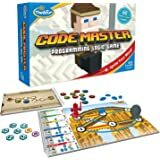 A Fun Way to Learn Code! The most backed board game in Kickstarter history sneakily teaches preschoolers the fundamentals of programming, from coding to functions, while making silly turtle noises! Takes seconds to learn, minutes to play and provides endless learning opportunities. 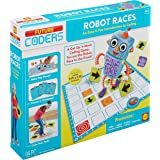 Before you know it, your little one will be writing computer games rather than just playing them! 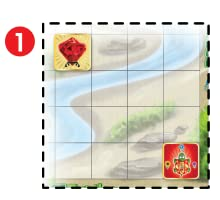 Set up the game board with the Turtle Tile in the corner and the Jewel Tile in the center. 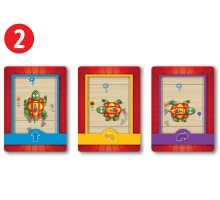 Use Code Cards (Forward, Left, and Right) to program the Turtle. Reach the Jewel Tile and unlock the next level of play! I bought this game for my 4 and 5 year kids. They were very excited. They played around 6 times before they mastered the game and got bored. I tried to add additional complexity by creating new rules and actions, it worked, but I really think it should've been part of the game itself. 5.0 out of 5 starsMy 4 year old loves this game! My 4 year old loves this game! It did take awhile for him to learn that he doesn't get to actually touch the turtle and make him move around, that's the parents job. After we cleared that hurdle all was well. It does help when the parent or turtle mover, makes funny noises when moving the turtle. we started with the basic game and within minutes he had already figured out the basics of the game. We added more and more unlocked items, ice towers, lasers and stone towers on our first game. 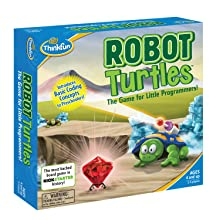 I love that robot turtles forces the kids to think about their actions before they do them. I can't wait until both of our kids can play this game or in with is other friends. The kids don't see any advanced coding or programming but these are basic ideas. As a parent I love the fact that my kid is having fun telling a turtle to move around the board and he's getting some critical thinking and problem solving along the way. 4.0 out of 5 starsGood game with kids. Have been playing with my kids since they were 3 and 5 years old. They go in phases, but generally like the game. I really like having a kids game requiring some thought. It also scales really well as they learn how to play. We've now been playing for about two years and the game has stood up really well. They still enjoy it and contents of the box are still intact. Bought this as a Christmas gift for my kids. 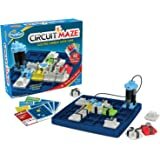 (3 & 5) My 5 year old loves this game and completely understands all the concepts introduced in the game. It's a bit much for my 3 year old though, (he just likes laying out the cards...) A great purchase. Only thing is that I feel like it has limited replay value. 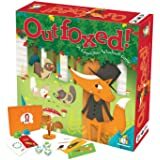 We've played it a few times together and with some friend too, but it's more of a game that you pull out every few weeks as opposed to a game you can play once a week. My four year old daughter loves the game and we have played it several times. 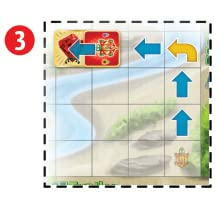 The pieces are high quality, the instructions are easy to follow and the game itself is great. 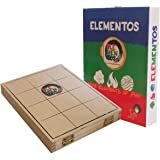 There are different rules that you can use based on the age of the players, and so far we have just used the basic, but I can see this game growing with my family for years to come. Kids love this game. Have had it for 2 years now and they just love it. We wanted to get a range of board games to play with our grandkids. This is a great game. 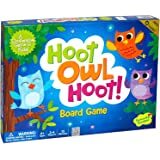 My wife does not normally like very strategic, long board games but even she enjoys playing this game as do our 6 and 9 yr old grandkids. 3.0 out of 5 starsmore like an "activity" than a "game"
A little disappointed. This is more of an "activity" than a "game". The product itself is high quality, great artwork.